We are the only Polish manufacturer of bag-in-box containers. We supply flexible bags for the bag-in-box system with the following capacities. : 2, 3, 5, 10, 20, 29, 100, 220 litres. 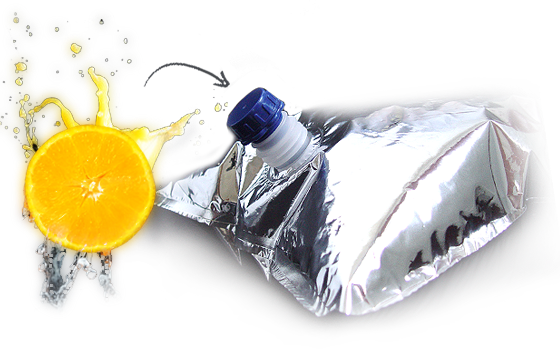 The bags are made of barrier film, where the barrier material is EVOH and metalized film (aluminium film deposition). All of our packaging materials meet EU standards. High quality packaging can be used for storage of liquid and semi-liquid food products, chemicals, technical materials, etc. 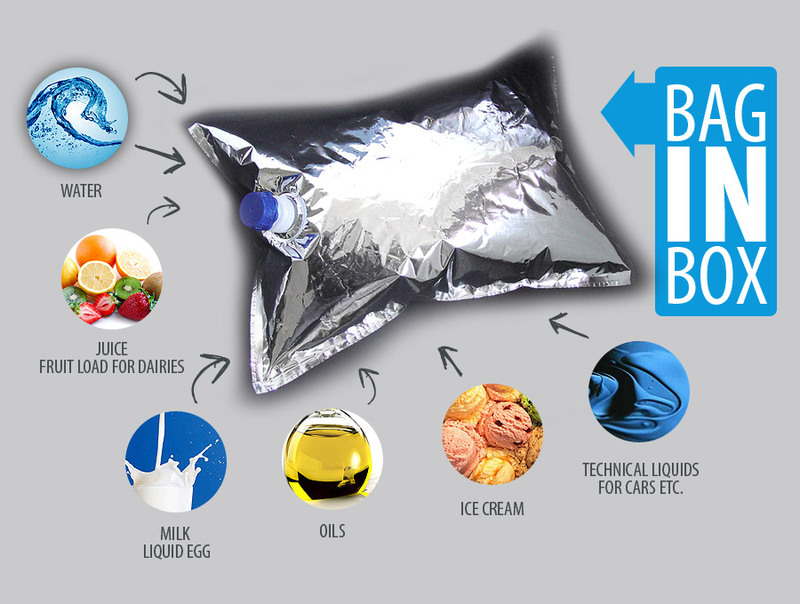 This form of packaging is mostly used for the following products: water, juice, fruit load for dairies, liquid egg, milk, oils, ice cream, technical liquids for cars etc. We advise on the selection of packaging machinery and equipment needed to safely produce and pack the above mentioned products. Our team of consultants will adjust a modern packaging to each product. This system allows you to save money, storage space and transportation costs. Bag-in-box containers are used to extend the shelf-life of products without preservatives, and to make their natural flavour and freshness last longer. The well thought-out and selected tap facilitates multiple use of the container without the access of air, which makes very long storage of products possible. Packaged products don’t get spoiled, don’t go flat and don’t lose flavour. Due to its structure, the packaging itself is environmentally friendly. Its recycling is very simple and low priced. Despite long storage periods, products stored in bag-in-box containers seem to have just been manufactured and packed. The packaging is very light and takes up very little space. 300 5l containers packed in a 600 x 800 x 300 mm cardboard box weigh only 18 kg, and allow you to pack 1500 l of finished product. A pallet holding 12 boxes weighs about 220 kg allows to pack 18 000 l of finished product. It takes only two people to operate the electrical (230 V) filling machine, which can fill about 1,000 to 2,000 litres in just one hour.